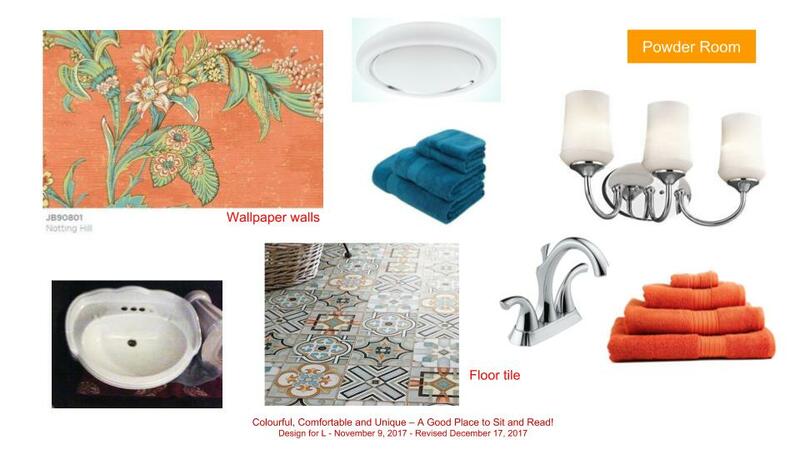 Whatever the style of a home, a powder room is always a great place to go a little wild. Whether it’s a cowboy theme in a rustic abode, or an outrageous wallpaper in a minimalist home, your guests will feel extra special, welcomed and entertained. 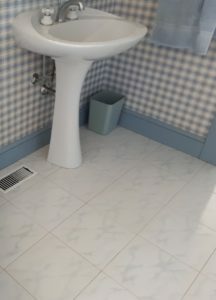 Our Hunt’s Point powder room has a square and sturdy character that can easily handle a fabulous orange and green botanical wallpaper along with an elegantly detailed ceramic floor tile. 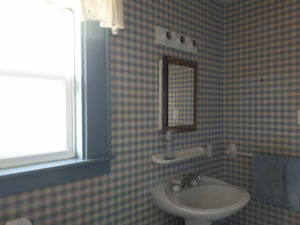 There was certainly room for improvement as seen in these powder room before photos. 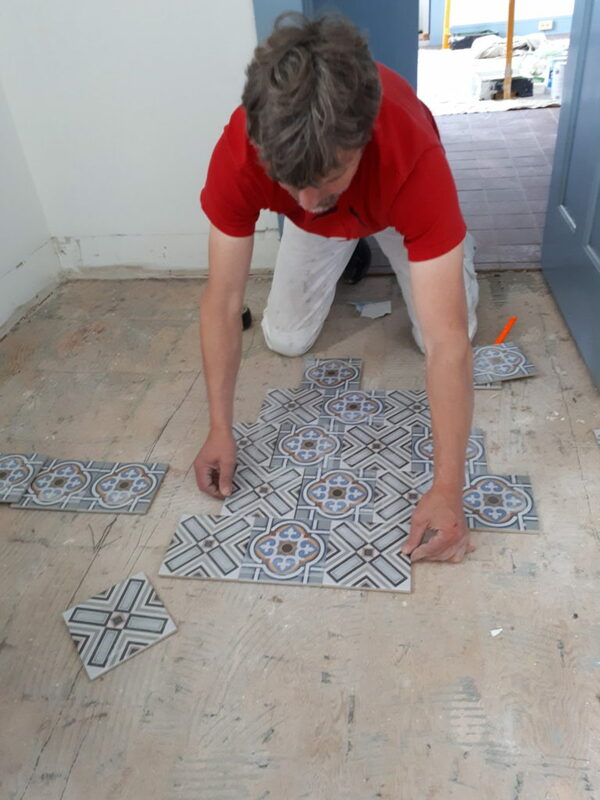 Here’s Marcus from Royson’s Flooring testing his pattern for the new tiles. This powder room has to speak up for itself, as it’s adjacent to the sumptuous library/dining room…. Subscribe at the bottom of this page so you did miss the big reveal of Home at Hunt’s Point.